Let us help you get the new year off to a great start by introducing you to five dynamic authors and their debut novels, all of which are recommended for book club discussion. 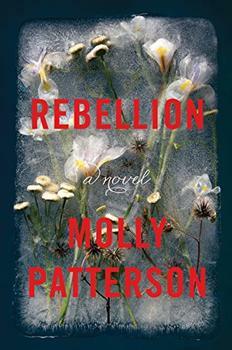 Historical fiction aficionados should check out Rebellion by Molly Patterson, set in 19th and 20th century China, and rural America. 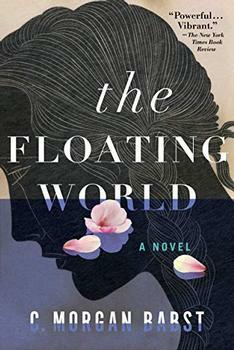 Also, The Floating World by C. Morgan Babst about Hurricane Katrina and the complicated history of New Orleans. If your group is looking for a change from discussing "literary fiction," then how about mixing things up with a thriller? 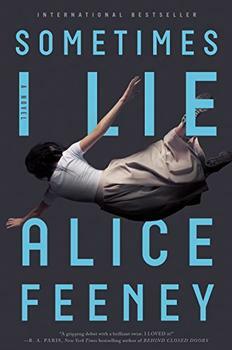 We recommend Alice Feeney's Sometimes I Lie about a woman paralyzed in a hospital with no idea how or why she got there, and Rhiannon Navin's Only Child about a six year-old boy dealing with the aftermath of a school shooting that killed nineteen of his schoolmates. And finally, if your group enjoys chewing over contemporary stories while exploring foreign parts, we recommend Sadness is a White Bird by Moriel Rothman Zecher, a novel about family and loyalty, Israel and Palestine, and friendships that cross these lines. In 1900, an American missionary named Addie goes missing in China. Her sister Louisa, who has just gotten married and lives in rural Illinois, is scared that Addie's disappearance is connected to the tragic events in her own life. Fifty-eight years later, Louisa's daughter Hazel experiences her own tragedy – her husband dies – and she is left to tend to their small children and farm. And finally, almost 50 years later, Juanlan returns to China where she struggles with the tension between family obligations and her own dreams and desires. A multi-generational, multi-locational novel about four women who fight against expectations to find themselves and their power. Written by a New Orleans native, The Floating World is a story about one family facing Hurricane Katrina and its aftermath. When Cora, the eldest daughter in the Boisdores family, refuses to evacuate, her parents make the hard decision to leave without her – an action that has multiple consequences. Their marriage falls into disarray and Cora ends up catatonic, but no one, not even Cora, knows why. This mystery is at the center of the novel, as Cora's sister, Del, tries to solve it, and in the process reckon with the racial history of her home city. 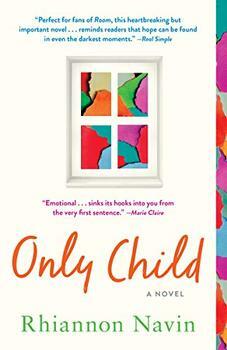 Issues and emotions abound in this debut, perfect for book club discussions. A psychological thriller with a brilliant premise: Amber wakes up in a hospital and finds out she can't move or speak or open her eyes – but she can hear everyone in the room. Her problem? She can't remember what happened that landed her here. But she believes her husband might have something to do with it. Told in three time periods – in the hospital, a week before the accident and her twenty-year-old diary entries – Amber's story will keep you up at night. It will keep you talking too. Zach Taylor is hiding in a coat closet with his classmates and teacher while a gunman is in his school, ultimately killing nineteen people – and changing one tight-knit community forever. Zach's mother pursues the shooter's parents in order to hold them responsible for their son's actions, while Zach tries to find forgiveness and a way to heal. Rhiannon Navin tells this story through the innocent-yet-wise voice of Zach, who is sure to steal your heart and leave you with much to talk about. This is a story about feeling loyalties to family and heritage while, at the same time, having deep friendships that know no external boundaries. Jonathan is a nineteen-year-old boy who struggles with this dichotomy. He has moved back to Israel with the intention of joining the army to fight and preserve the Jewish state that his grandfather helped create, but then he meets twins Nimreen and Laith, who are the Palestinian son and daughter of Jonathan's mother's friend. 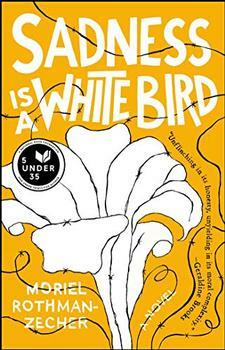 Sadness is a White Bird is timely and powerful, a perfect combination for book clubs.